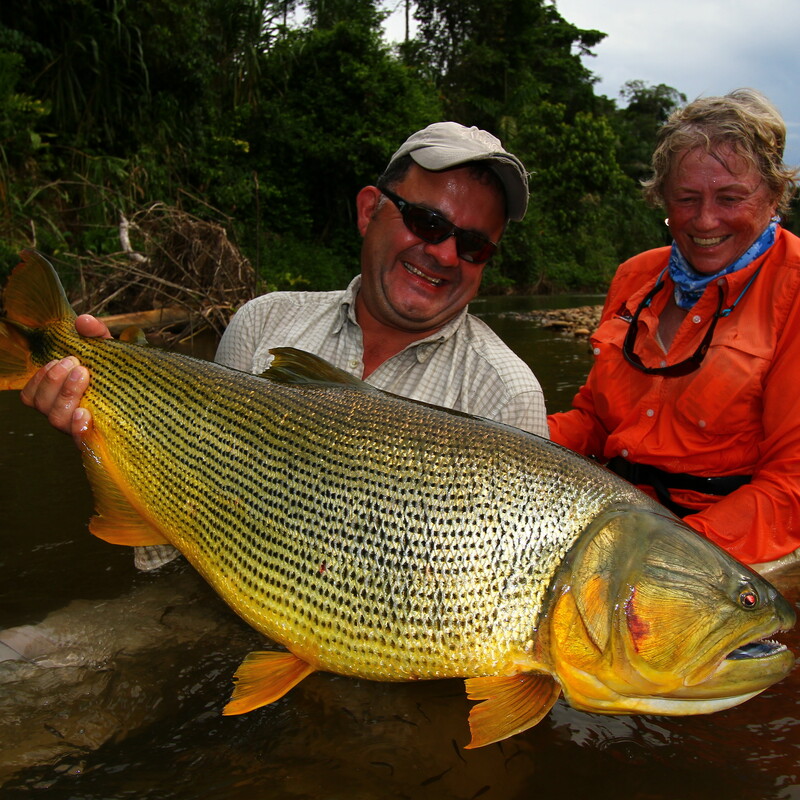 Casare Lodge is the newest lodge in Untamed Angling’s collection of Tsimane Jungle lodges. 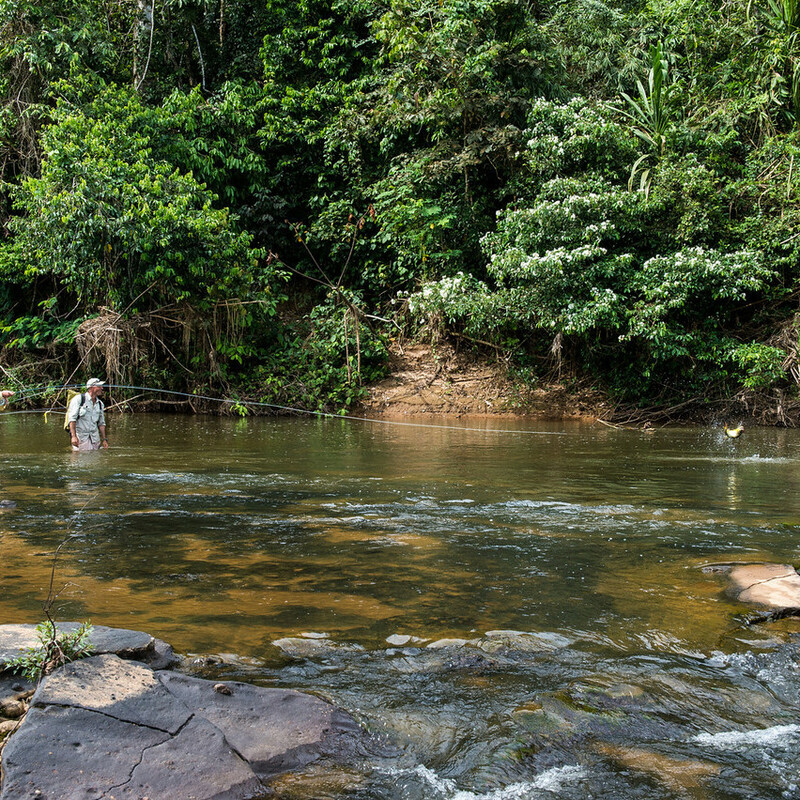 It is the first fly and lure based angling experience offered in the Tsimane portfolio and fishes the upper reaches of the Secure River. 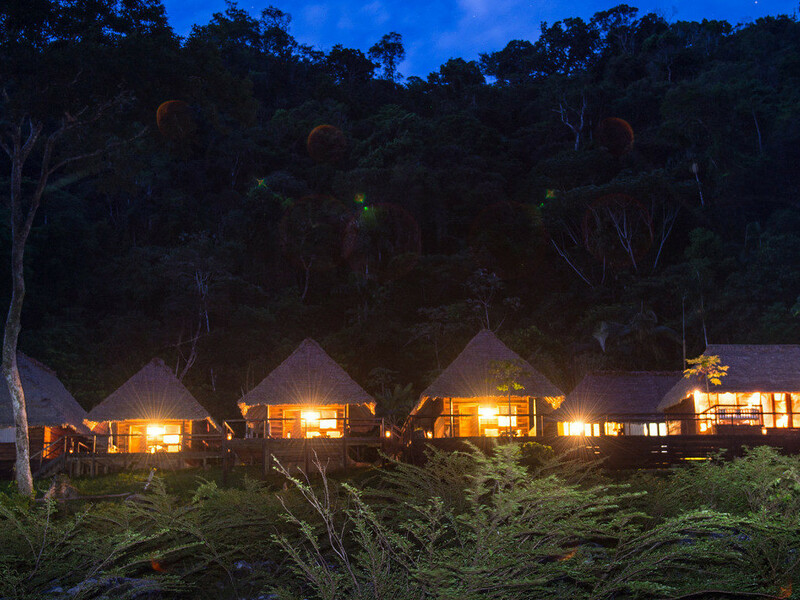 Tsimane is based where the Amazon basin meets the Andes Mountains in indigenous Indian Territory. 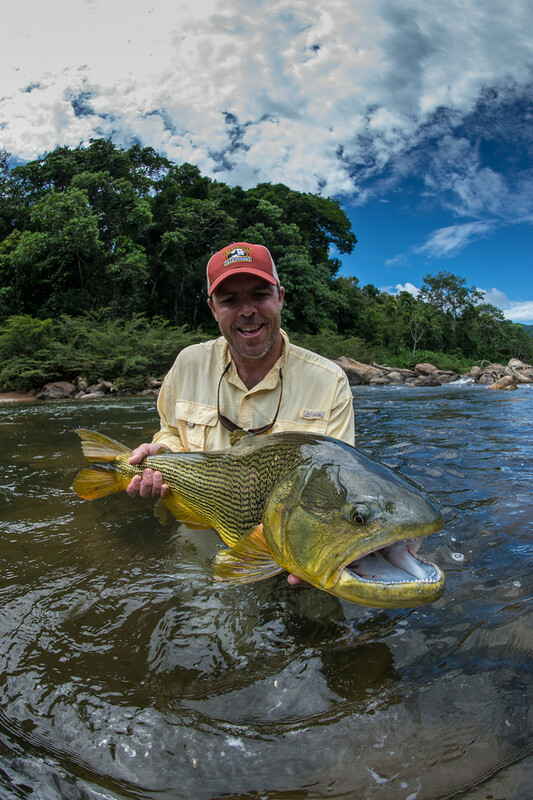 Here, a maximum of 6 anglers per week get to target trophy Golden dorado (20lbs+), Amazonian Pacu (a kind of freshwater permit) and the Moturo – a giant catfish - in clear water by sight-casting to feeding fish against a backdrop of mountainous jungle. 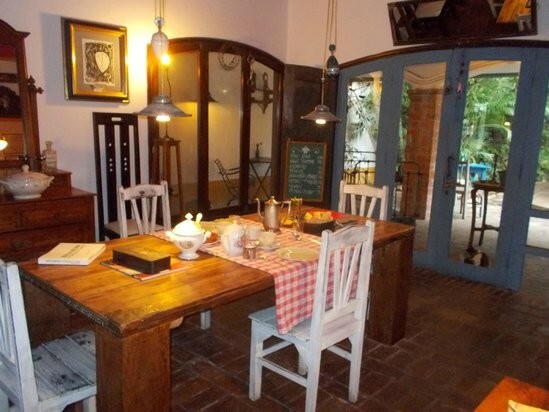 An overnight stay in Standard Rooms on a BnB basis. 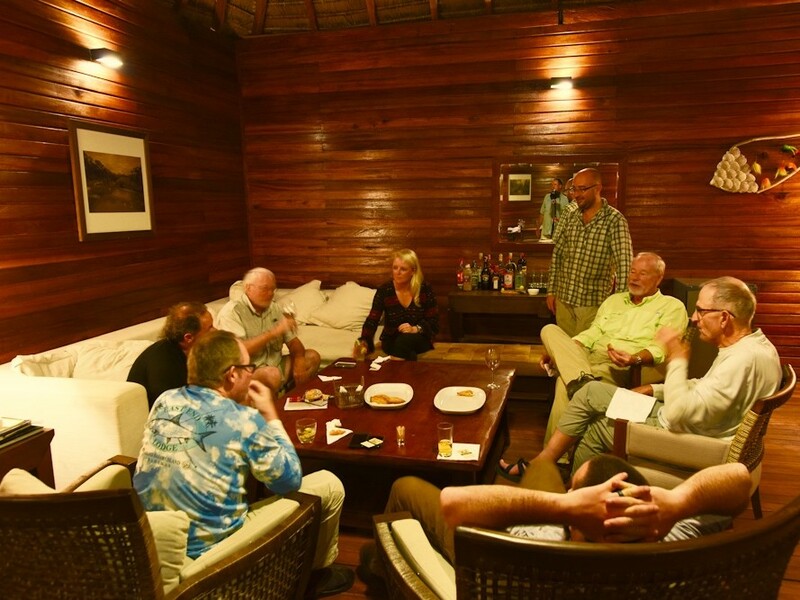 The remainder of the afternoon and evening is at the group’s leisure to relax and enjoy Casa Patio Hotel facilities. 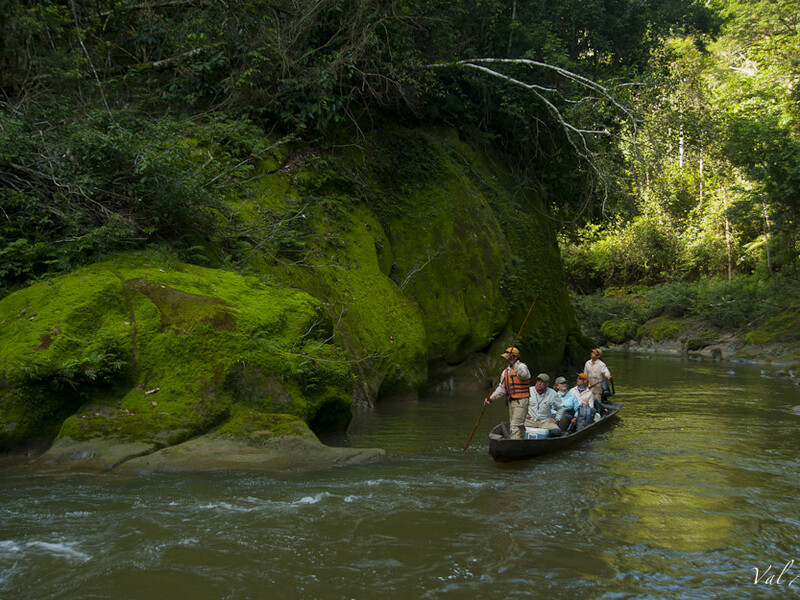 After breakfast, the representative will collect the group at 08.30am and transfer them back to the Santa Cruz for the 1hr50min private charter flight into Asunta Village landing strip where the lodge staff will collect the group and transfer them to the lodge – about 10 minutes by boat. 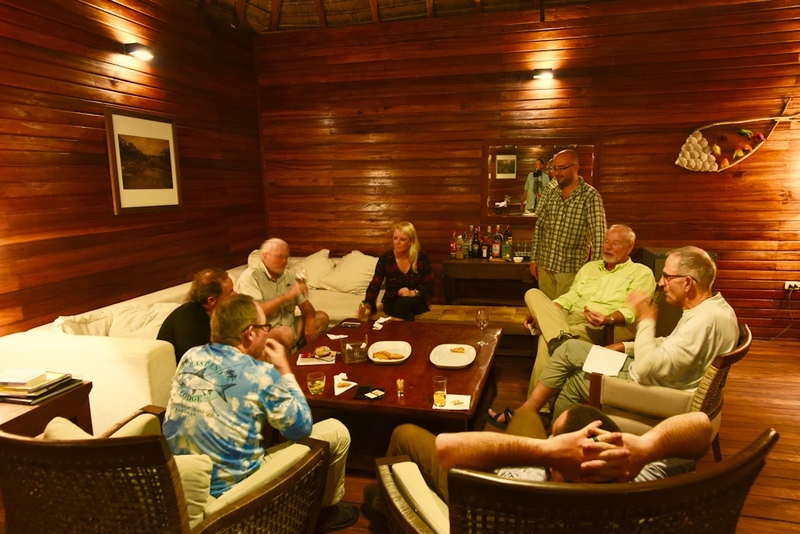 After settling into your rooms, unpacking your kit and preparing the fishing equipment, there will then be an orientation session explaining the fishing regions, the beat allocations and the lodge programs. 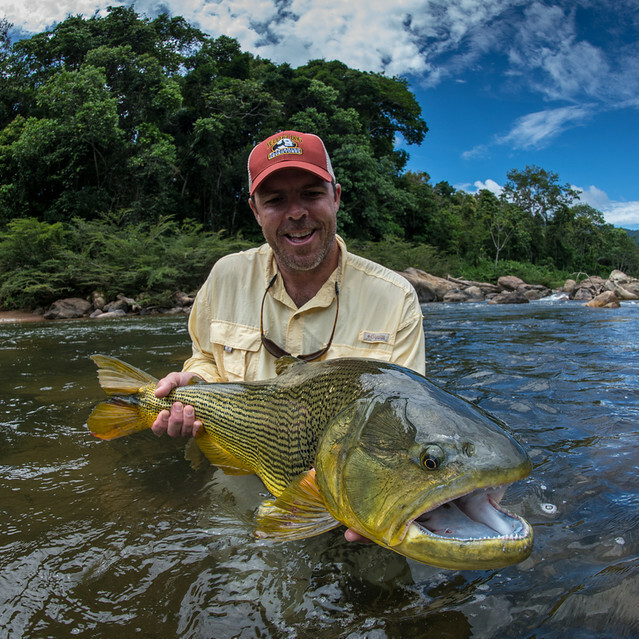 Thereafter, un-guided fishing is possible on the waters around camp for the remainder of arrival day. 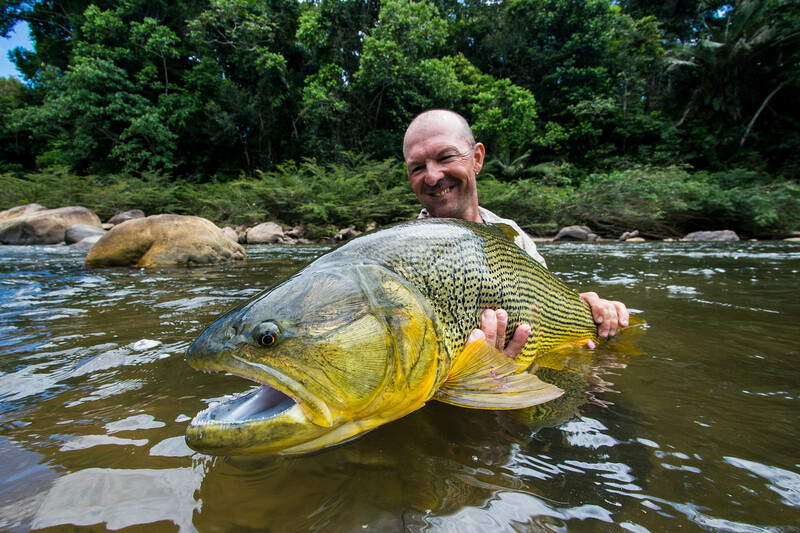 Your time fishing at Casare Lodge will be spent fishing 2 different portions of the Secure River on beats fishing 2 anglers per beat. 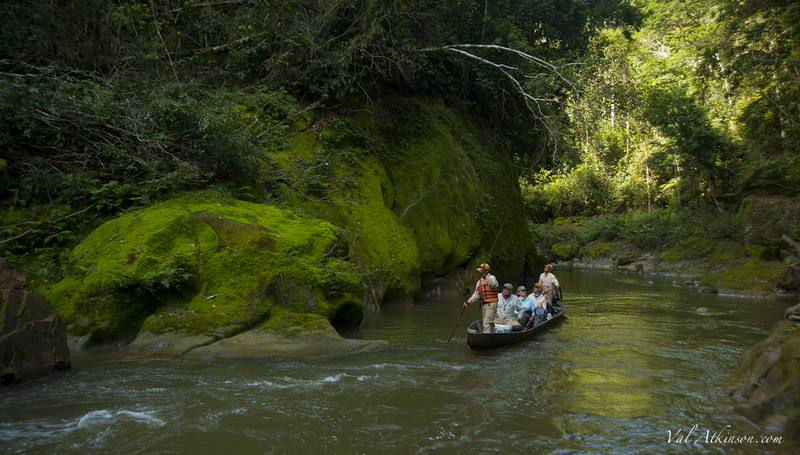 The UPPER SECURE upstream of the lodge offers crystal clear water, mountainous terrain and jungle pressing into the river and the main mode of transportation is by hand poled dugout canoes. 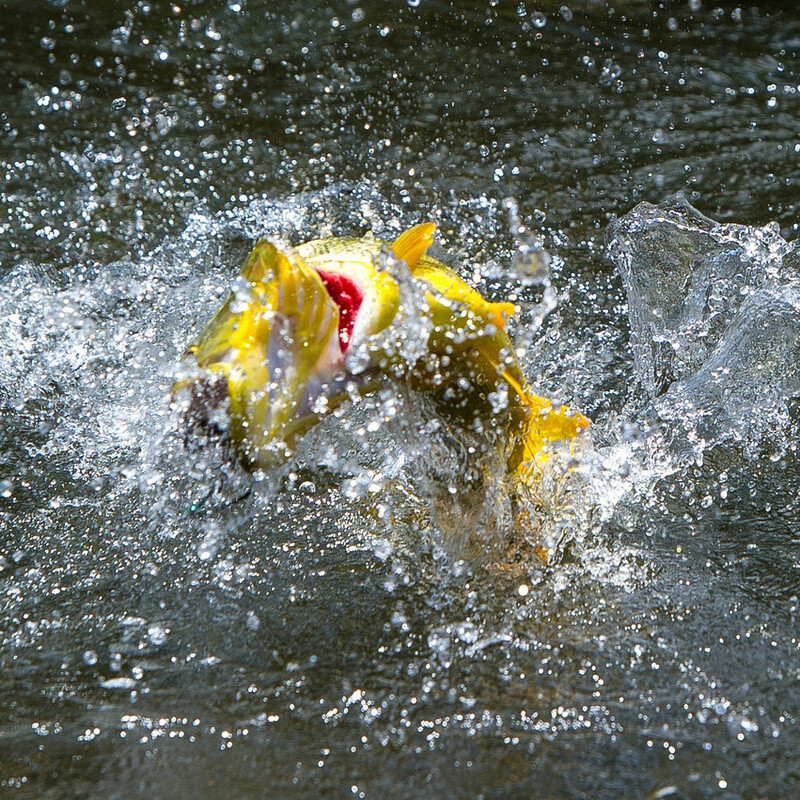 There is a lot of sight fishing chances here and you can target dorado (some up to 30lbs!) 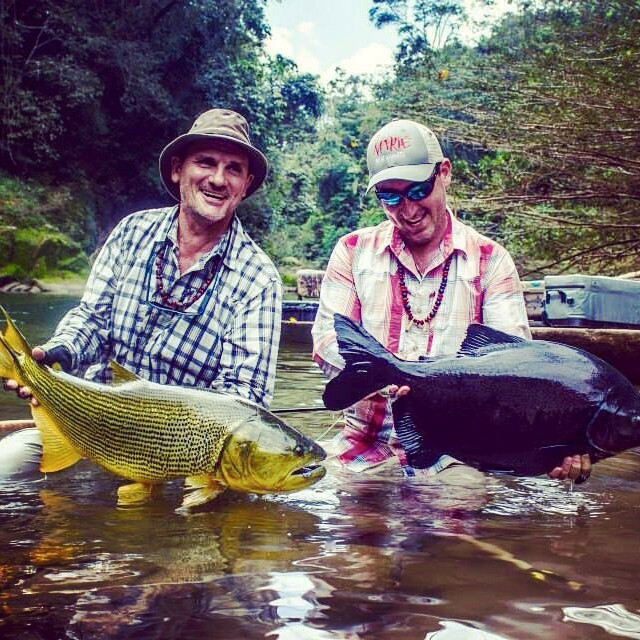 and pacu (freshwater permit) in the clear water. 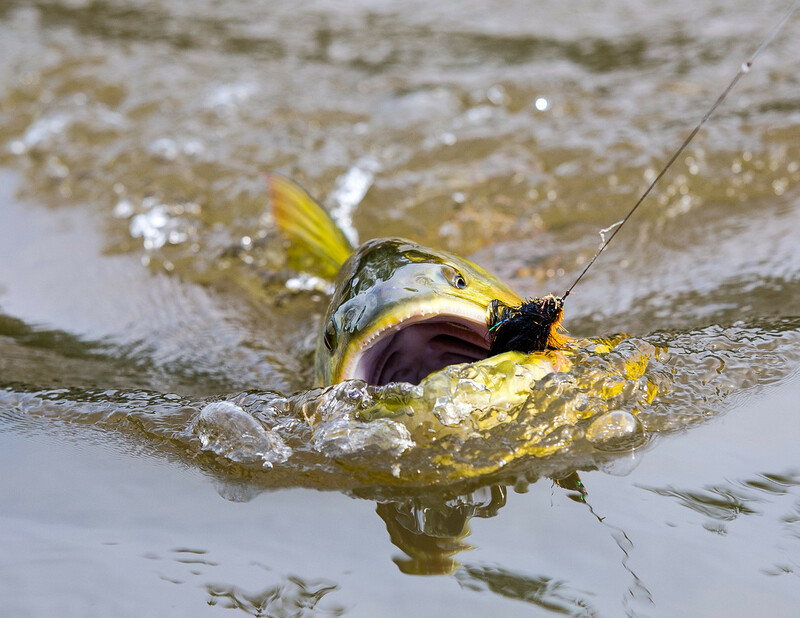 Fitter anglers that can walk further upstream beyond the reach of the canoes will be able to target the wildest waters where dorado and pacu shoal in together in large pools. 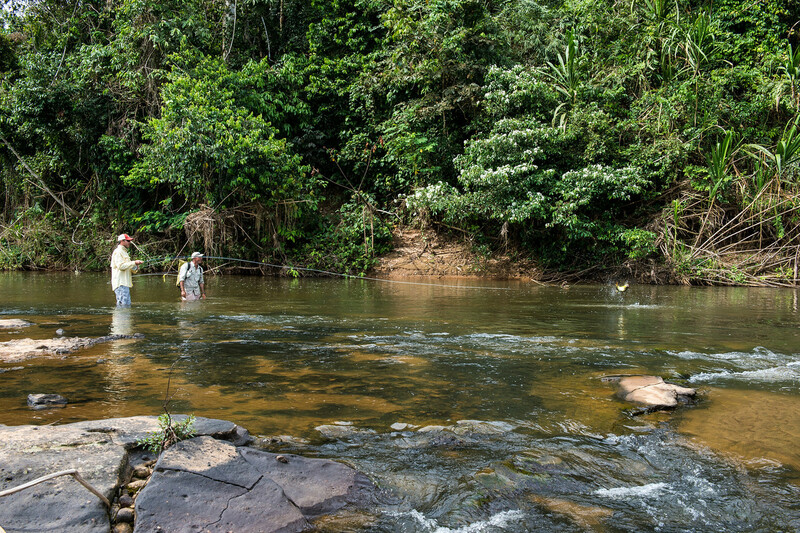 THE MID SECURE is a wider, shallow and slower part of the river downstream from the lodge with more sub-surface logs and structure and stained a brown colour. 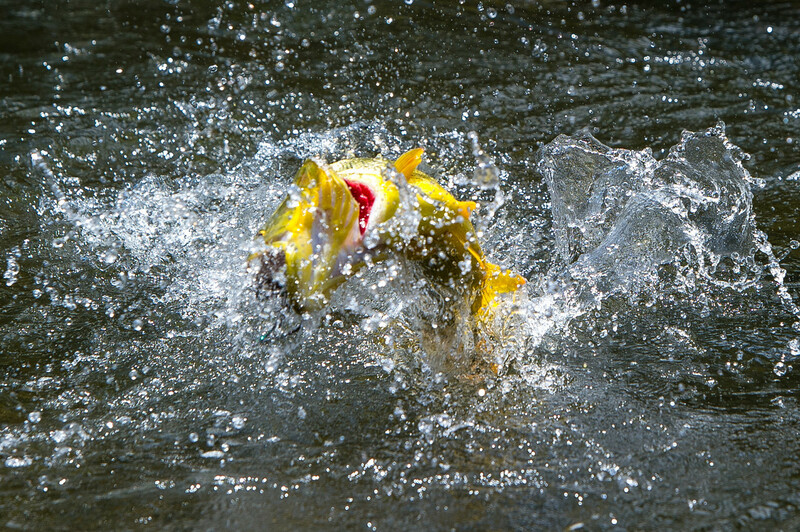 The high numbers of baitfish mean this stretch often holds the biggest and highest quantity of dorado. Departing at 18.00 on SA223 arriving 07.25 on the 30th July 2017. CONVENTIONAL A good quality bait caster or coffee grinder with about 200 yards of 25-30lb nylon (braid not ideal due to rocks). 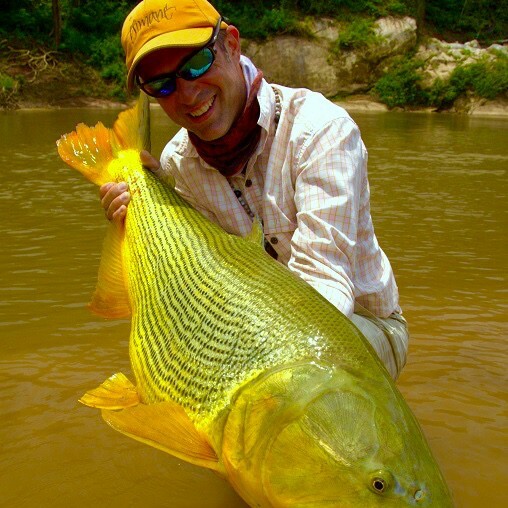 FLY Standard tigerfish or saltwater fly reel with WF warm water floating 9 weight lines and intermediate or sink tip intermediate lines. No cold water floating lines! 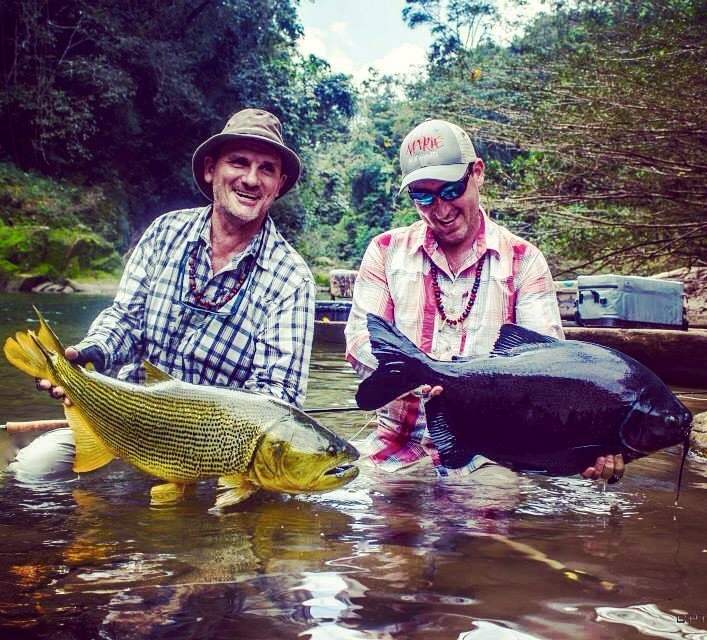 CONVENTIONAL 6-7ft stiff action spinning rod – Shimano Beastmaster/tiger rod is perfect. 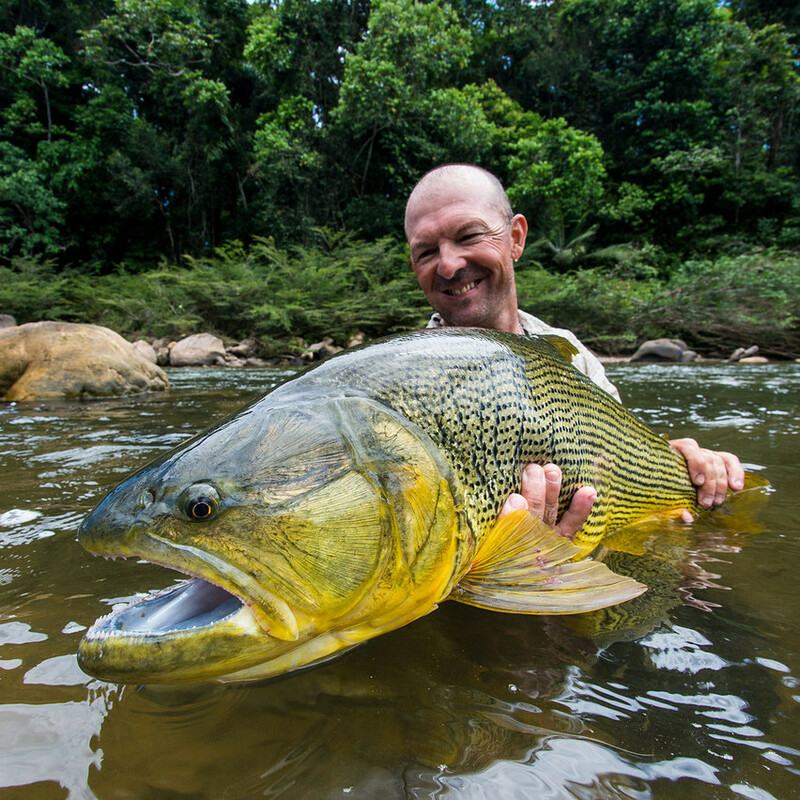 FLY 8 or 9 weight rod is ideal (bring 2 if possible) and perhaps a 6 weight for yatoranas (a fish that looks and feeds in a similar manner to yellowfish. BOTH 20-30lb fluorocarbon leaders with 40lb piano wire traces connected with #10 power swivels. Small snap swivels optional. LURES 9-13cm minnow imitations like rapala floating magnums, rapala X-raps, rapala sub-surface walkers, x-rap walkers, poppers in clear and dark minnow patterns (shad, shad, sardine and perch colours all good). Also take 30g double bladed effzetts (silver and bronze) and as well as silver and red Mepps Anglia spinners for fish holding in deeper water. 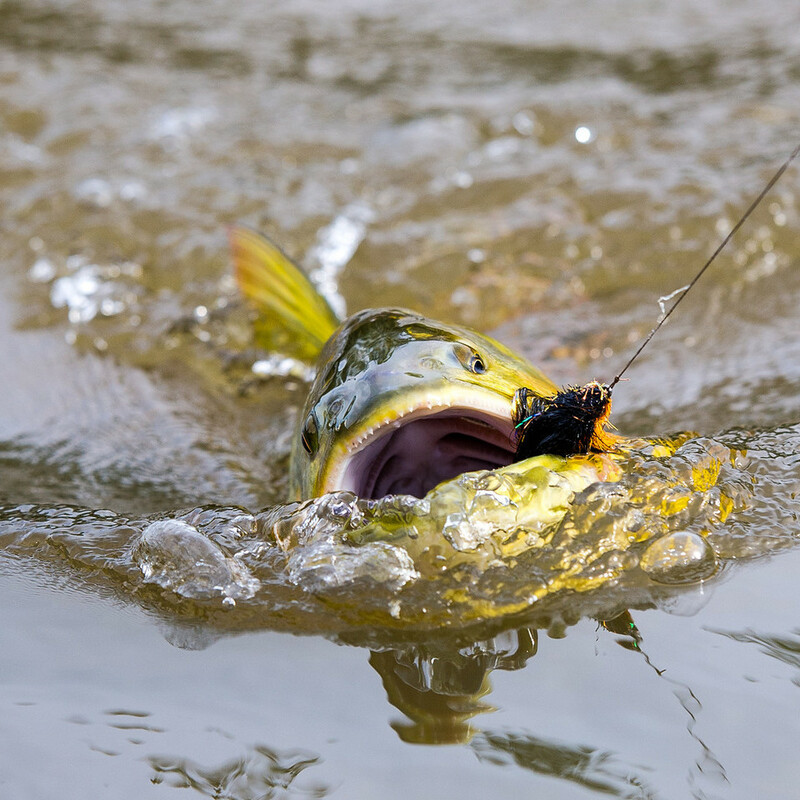 All lures must be fitted with VMC in-line single hooks in #4 or #5 sizes – no trebles allowed. Other lures to bring along can include bucktail jigs in natural colours. FLIES Clousers, deceivers, brush flies tied in black/red, black/purple, black/ blue, grey, khaki and orange variations. 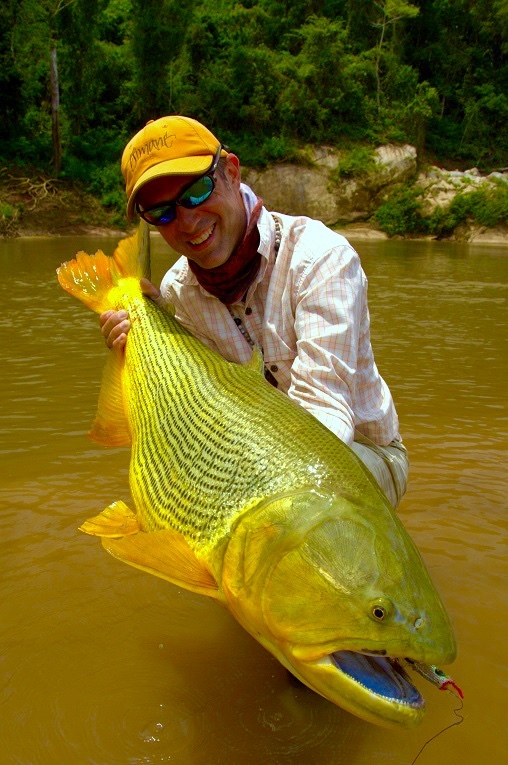 Flies should be fully dressed on 2/0 and 4/0 hooks that are of high quality and chemically sharpened. Avoid flies with too much flash. EXTRAS Polaroid glasses, hat / buff, hook sharpener and long nosed pliers, extra leader and trace wire, finger guards/gloves, wading stick, line clippers, head torch. Return transfers from Santa Cruz Airport to Casa Patio. 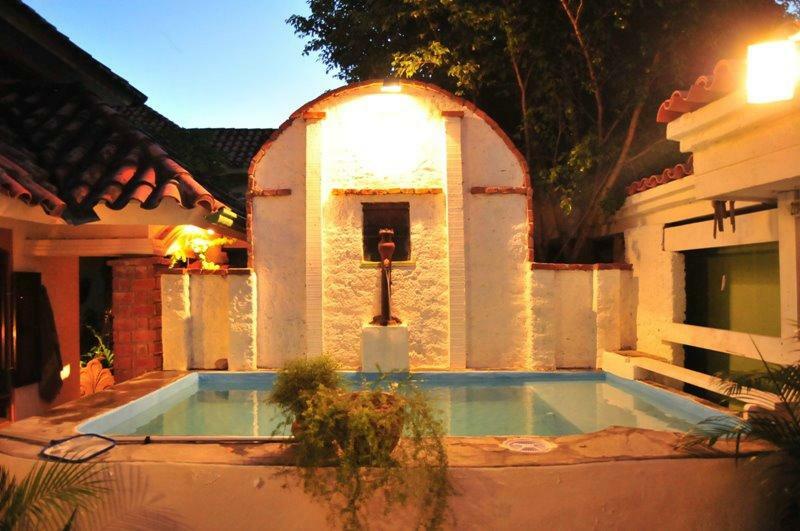 2 nights accommodation BnB at Casa Patio. 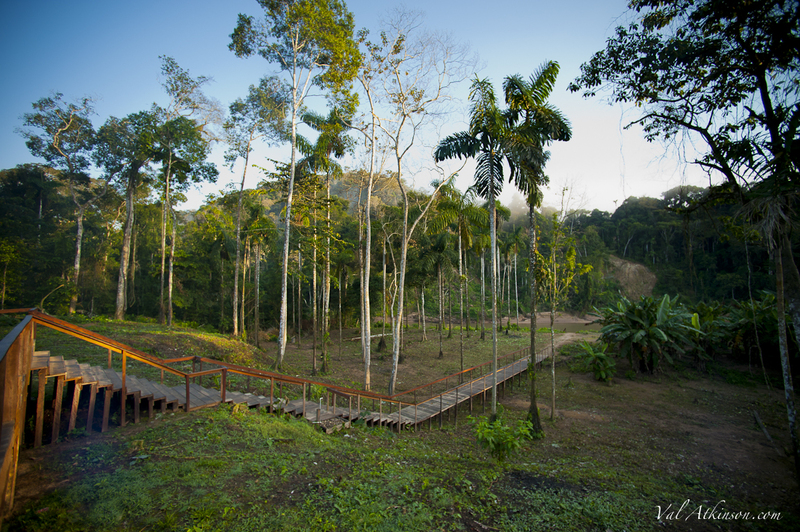 Return private charter flights from Santa Cruz to Tsimane. 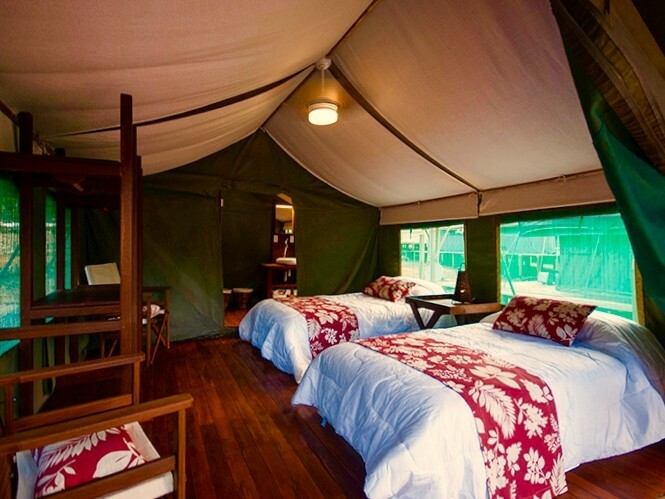 7 nights accommodation at Casare Lodge. 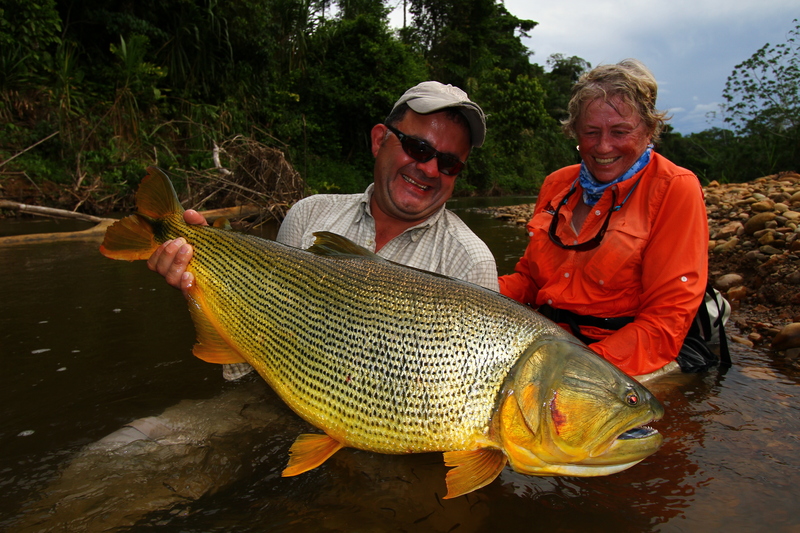 6 full days guided fishing on the Secure River. All meals and drinks at Casare Lodge. Indian Native Levy of USD 450 pp. 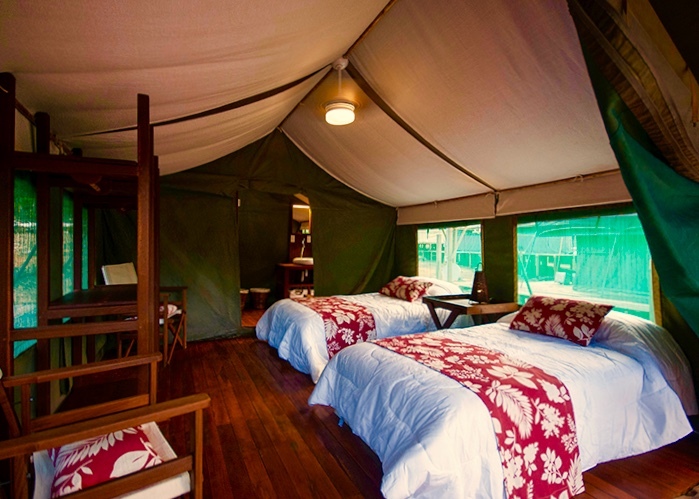 National Park fees of USD 120 pp. 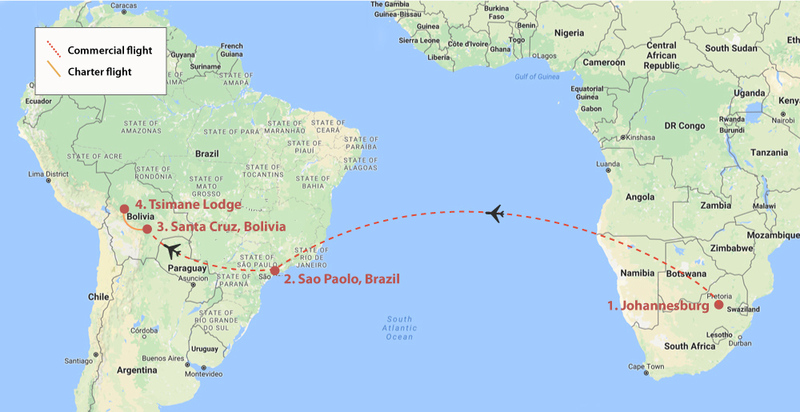 International flights: current price = approx. R20’000 pp return. 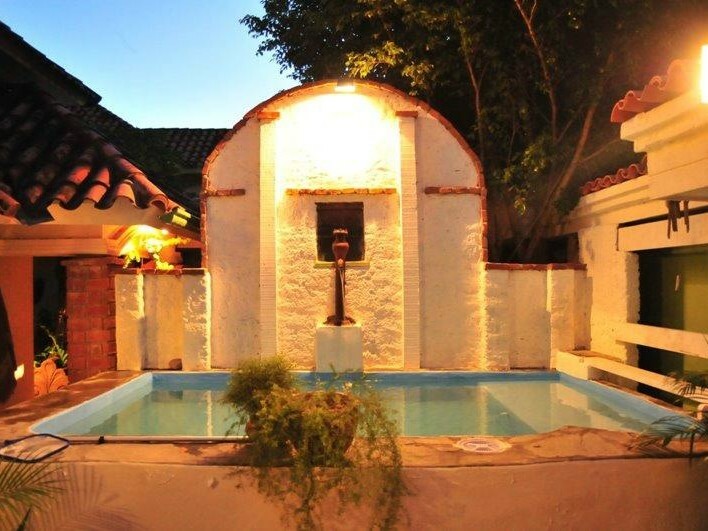 Lunches, dinner and drinks in Casa Patio. Items or services of a personal nature. Compulsory Travel Insurance: approximately R950.00 pp.